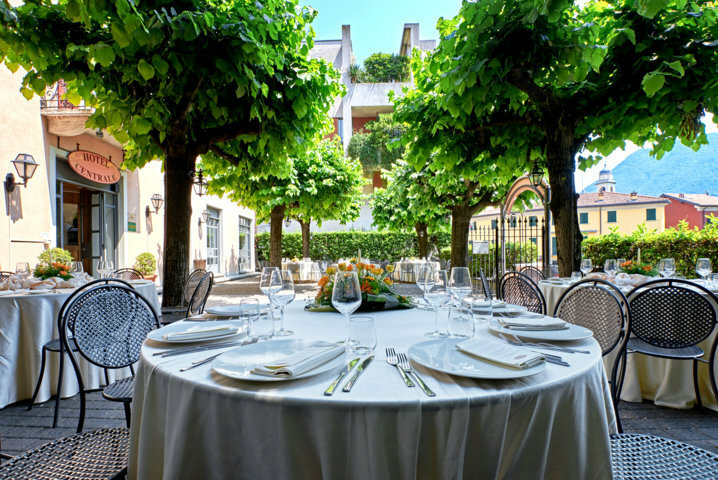 Hotel Centrale is a turn-of-the-century villa from 1906 situated 50 meters from the lakefront in the heart of Cernobbio. 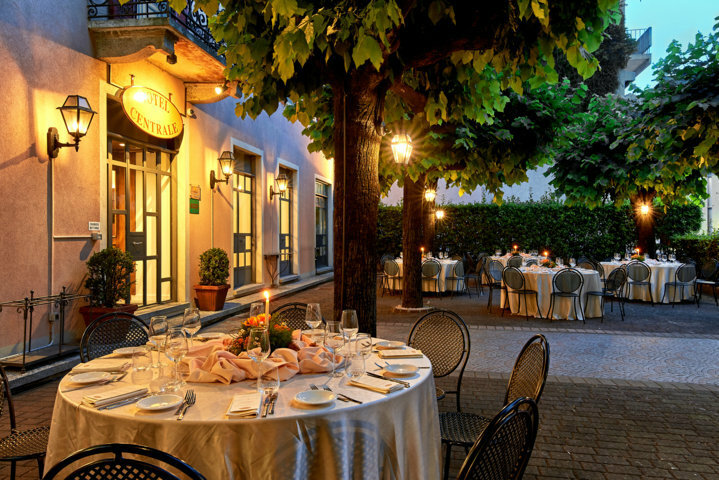 What better set-up for a wedding banquet or an intimate rehearsal dinner than in the authentic stone tavern or outdoor tree terrace seating up to 80 people. Allow us to take care of every detail to assure a seamless unforgettable event. Under the watchful eye of our talented Chef, dining will be a unique experience; an array of exciting dishes with a touch of contemporary on classic Italian cuisine. Onsite symbolic ceremonies are available as well as religious ones in the nearby Church of Saint Vincent, dating back to the XII century, at a 5-minute walk from the hotel. 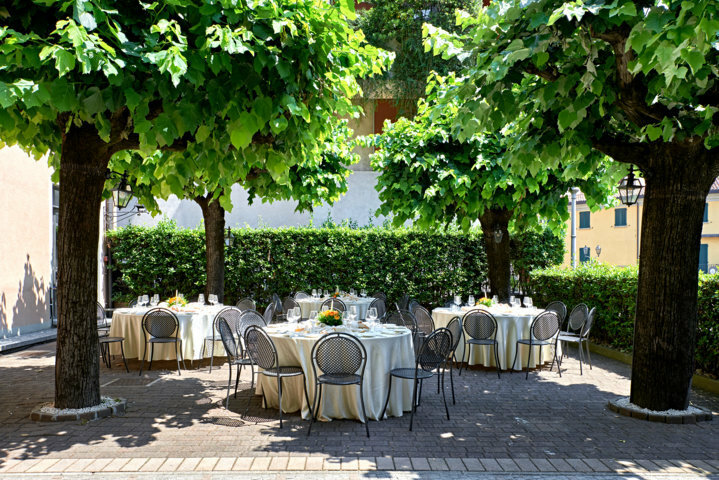 OUTDOOR TREE TERRACE: a vibrant – retro atmosphere to enjoy an aperitif or your wedding reception under the shade of the trees. 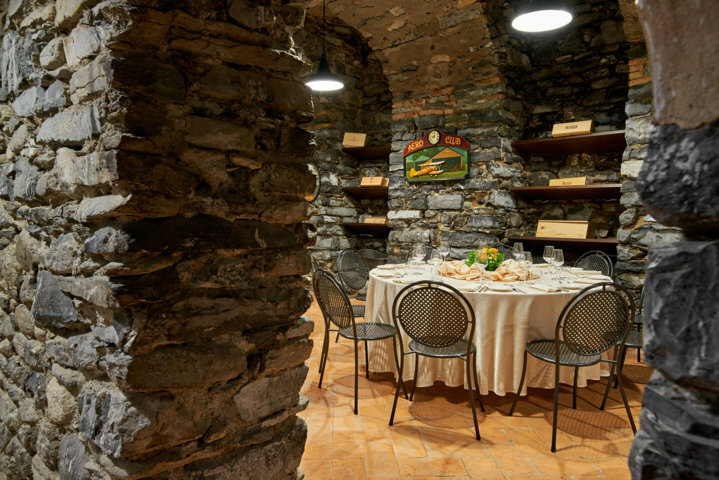 STONE TAVERN: authentic stone turn-of-the-century tavern hosting up to 60 guests for an intimate wedding reception or a truly special symbolic ceremony up to 60 guests. NEWLY RESTORED RETRO-CHIC LOBBY: perfect for welcome drinks or canapé buffets up to 80 guests. NEWLY REFURBISHED BREAKFAST ROOM: available for goodbye brunches and private dinners up to 80 guests. 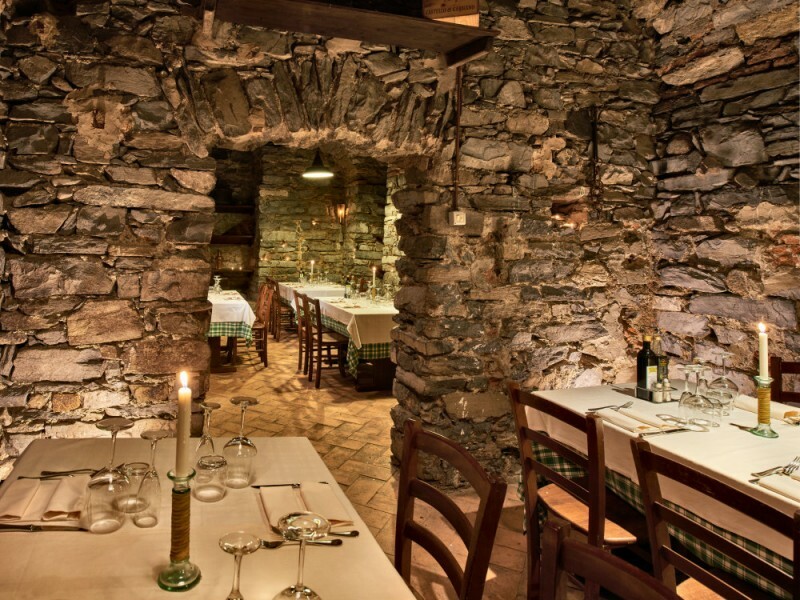 Chef Andrea Stivaletta will be happy to arrange a test tasting menu for you and your other half. Test tastings should be booked and are subject to availability. Allow us to ensure that the day before your special event is as enjoyable as the big day with an intimate rehearsal dinner. What better way to say goodbye to your guests than with a delicious brunch?